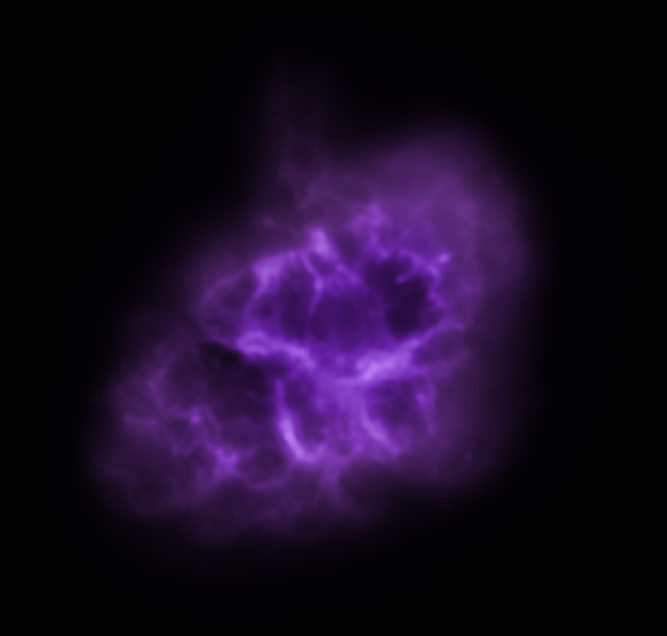 A star's spectacular death in the constellation Taurus was observed on Earth as the supernova of 1054 A.D. Now, almost a thousand years later, a super dense object -- called a neutron star -- left behind by the explosion is seen spewing out a blizzard of high-energy particles into the expanding debris field known as the Crab Nebula. 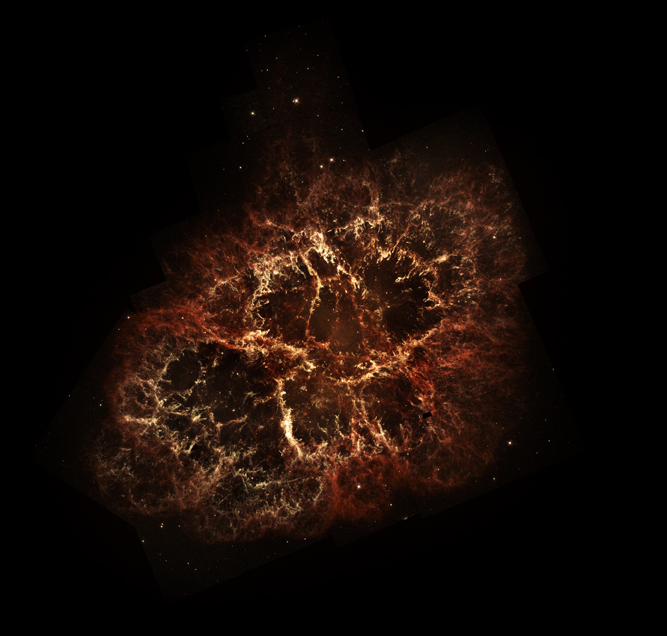 The Crab Nebula is an iconic object in space that has been studied intensely by both telescopes on the ground and those in space. 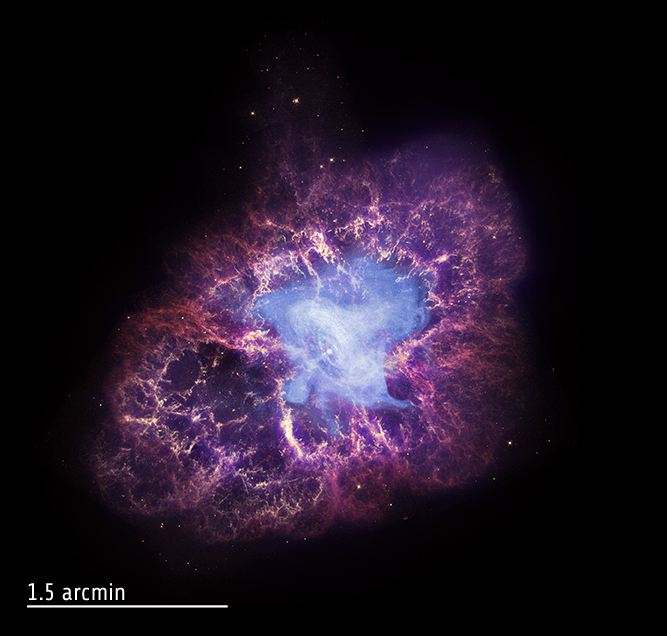 These images of the Crab Nebula show data from three of NASA's Great Observatories. 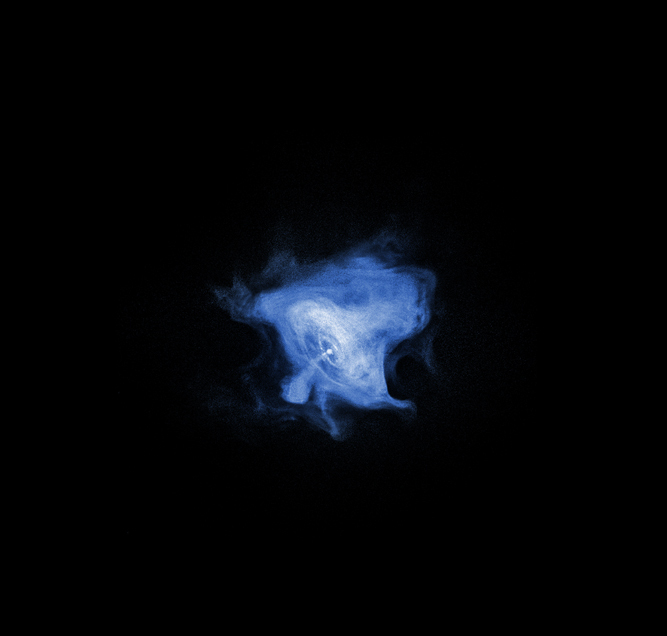 X-rays from Chandra are shown along with optical data from Hubble and infrared data from Spitzer. These three telescopes provide a striking view of this famous cosmic source.